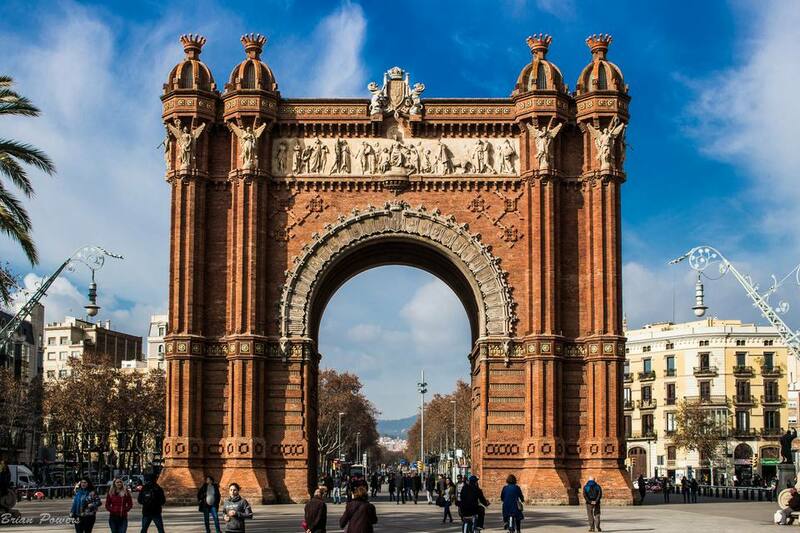 While Northern Europe's quaint Christmas markets or the Caribbean's sandy beaches top most traveler's winter bucket lists, strolling through sunny, Mediterranean Spain during the winter months can also be quite a thrill. Long gone are summer's throngs of tourists, leaving in their wake cooler temperatures and sleepy towns. You can even ski, shop, and enjoy all that Spain has to offer in January. Plus, in some places, it's still warm enough for a day at the beach! It's cold in January in most of Spain, but what did you expect? It's winter! Time to enjoy what winter in Spain can offer you (did you know you can ski in Spain?). Now is not really the time to come to Spain if you are looking to top up your tan (though it might be possible on the south coast). Expect rain and overcast days wherever you are in the country, but not all the time. While average high temperatures range from 52 to 61 degrees Fahrenheit (11 to 16 degrees Celsius), and lows dip to freezing, weather is unpredictable, so you might see some extremes. Madrid's winter weather can be extremely unpredictable, ranging from bitterly cold to surprisingly mild. On the whole, though, you can expect it to be cold in Madrid in January (it's the coldest month of the year in the city). It should be generally dry but pack an umbrella just in case. Barcelona has a beach, but don't expect anyone to be on it in January. It'll be pretty cold for the whole month, though it should stay fairly dry. Spain's coldest month chills even its warmest region. Rogue warm days in Malaga are certainly possible but don't expect to return home with a tan. The north of Spain, near Bilbao, tends to be cold and wet in winter and January is just about the coldest and most wet. You should expect some rain every other day or so and will definitely need a jacket, especially at night. By being incredibly wet, Galicia escapes some of the cold experienced in the rest of Spain in January. But with rain expected on two-out-of-three days, you might welcome a cold, dry day occasionally! After the rush and excitement of the holiday season, January is a lighter month for events in Spain. While there are a few regular events held each year, every city is sure to have its own rotating calendar of art exhibitions, theater performances, and concerts too. International Winter Motorcycle Rally: Each year in mid-January, the city of Valladolid hosts this event, which brings together thousands of people of different nationalities and their bikes. International Tourism Fair: Travelers and those working in the travel industry won't want to miss this annual event held in Madrid at the end of January. The giant expo draws more than 10,000 exhibitors. The Tamborrada: One of Spain's loudest festivals, the Tamborrada is held each year in San Sebastian. During this mid-January celebration, hundreds of drummers parade the streets making as much noise as possible. It's great fun—but bring your earplugs! Jarramplas: Most people know about La Tomatina, the tomato-based food fight, but fewer have heard of this food-throwing festival, where turnips are the vegetable of choice. The unique event takes place each January in Caceres. A celebration of Christians' victory over the Moors: On January 2, the whole city of Granada celebrates the final victory of the Reconquista, which in 1492 expelled the Moors. As part of the celebration, the highest tower at the Alhambra is open to the public on this day. Spain has more mountains than any other country in Europe, which means great skiing! If you're looking for high-end ski resorts, the Pyrenees, along the border of Spain and France, is home some of the world's best. Even the south of Spain, in Sierra Nevada, is home to plenty of great powder and plenty of sunny days. Spanish summers are hot, which means many shopkeepers and restaurants owners flee to cooler climates. Luckily, this isn't the case during the winter: Visiting in January means you'll find most towns in full-swing, with plenty of action, especially since Christmas holidays are over. Spain isn't a cheap country to visit, but traveling during the winter drops costs considerably. It's not unusual to find a decent hotel room for 40 Euro per night—or less! If you're in Spain for New Year's Eve, ring in the holiday at the Puerta del Sol in Madrid; here you'll find costumed revelers, confetti, and more.